BRATECK Height Adjustable Metal Satellite Speaker Floor Stand. BRATECK Height Adjustable Metal Satellite Speaker Floor Stand. 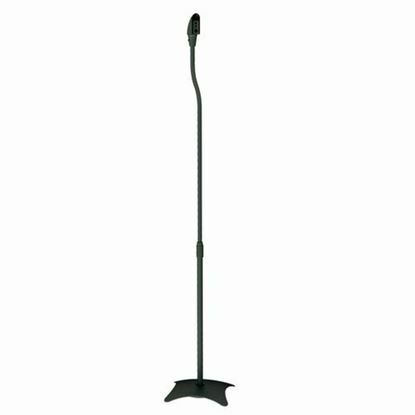 Height: 680mm~1100mm. Max load: 4.5kg. Sold as a pair. 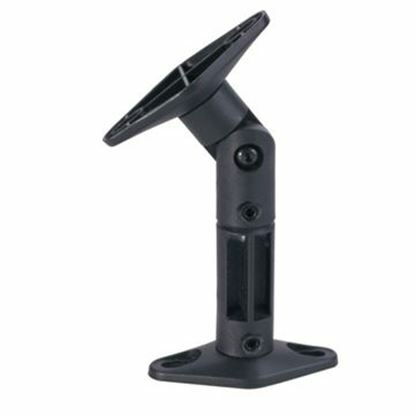 BRATECK Premium Universal HiFi Speaker Stand. Designed to hold and BRATECK Premium Universal HiFi Speaker Stand. Designed to hold and protect your precious speaker. Stabilizing feet, Integrated cable management, Max load: 10kg Sold as a pair. BRATECK Side Clamping Bookshelf Speaker Mounting Bracket. BRATECK Side Clamping Bookshelf Speaker Mounting Bracket. Max load: 15kg. Swivel: 180. Tilt: -8~+8. Sold as a pair. BRATECK Wall/ceiling satellite speaker bracket. 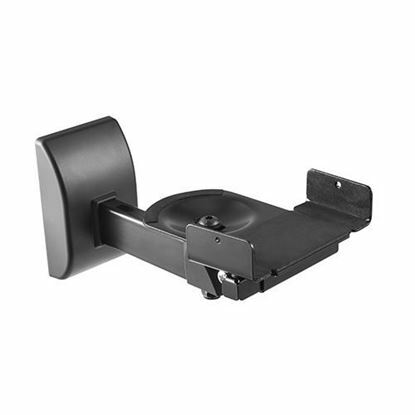 Compatible with 1 BRATECK Wall/ceiling satellite speaker bracket. Compatible with 1 or 2 threaded mounting hole(s) or keyhole mounting systems. Max Load: 3.5kgs. Plastic construction. BRATECK Universal Sound Bar Wall Bracket. 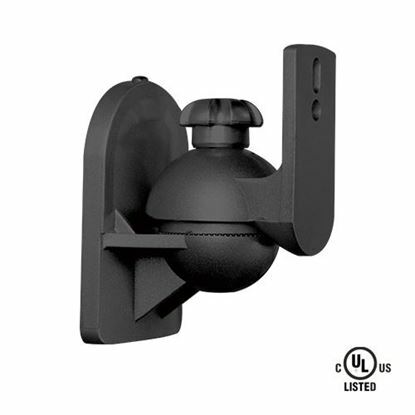 Attaches to VESA holes of BRATECK Universal Sound Bar Wall Bracket. 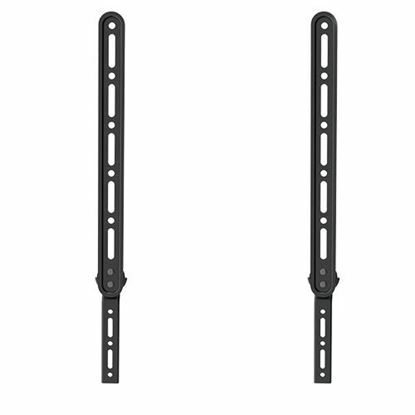 Attaches to VESA holes of TV for mounting below TV. Fits most 23"~65" TVs.